Monkey Wrench Cycles will be attending the 2016 Single Speed World Championships in Woodend, Victoria on the weekend of the 22nd and 23rd October. We will be closed for this weekend and re-open on Monday the 24th October. We hope to see Canberra well represented down there – late entries can be made on the Friday night at the venue. The 2015 Australian Single Speed Nationals has been announced, and will be held at Woodend Victoria from the 5th December. 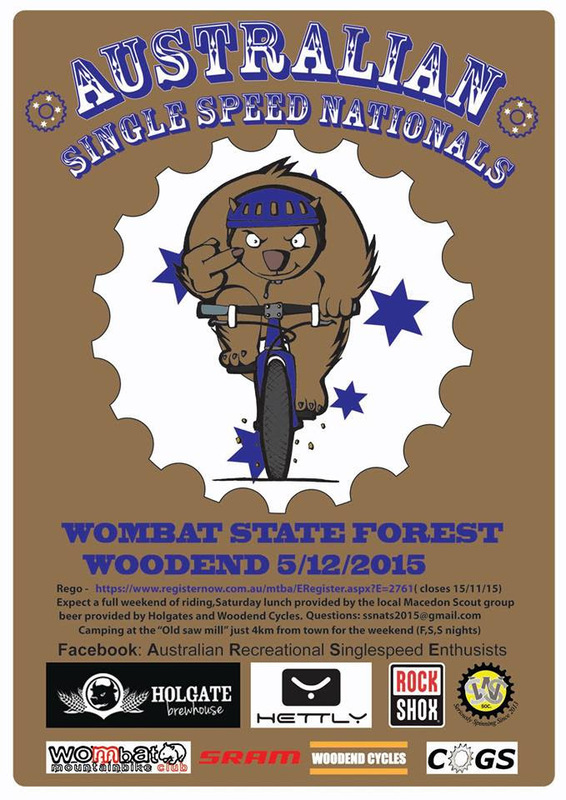 Check out Australian Recreational Singlespeed Enthusiasts on Facebook or email ssnats2015@gmail.com for more info. Should be great fun! Enter your email address to follow Monkey Wrench Cycles and receive notifications of new posts by email.